The Garden Classroom, which is organising this event, won the Lisa Pontecorvo Award in 2015 (for its outstanding work and contribution to people and spaces). Climb down by ladder into the ice wells (5:30 pm-7:30 pm) if you are more than ten years old. See icy works of art, including ice sculpture, film, installation and painting. Hear Simon Barraclough present excerpts from Debris Field, words and sights related to icebergs, hypothermia and the cold starlit sky as the Titanic slips beneath the waves. Hear Alan Ward perform poems inspired by the ice wells, the people who worked in them and the sensations which are tingled by vast blocks of ice. The museum is also usually open between Tuesdays and Sundays 10:00 am-16:30 pm and on bank holiday Mondays 10:00 am-16:30 pm. The ice wells were built in 1862-1863 for Carlo Gatti to store ice brought by canal and sea from Norway. The event is the first in a series this year celebrating the conservation work on them described here. 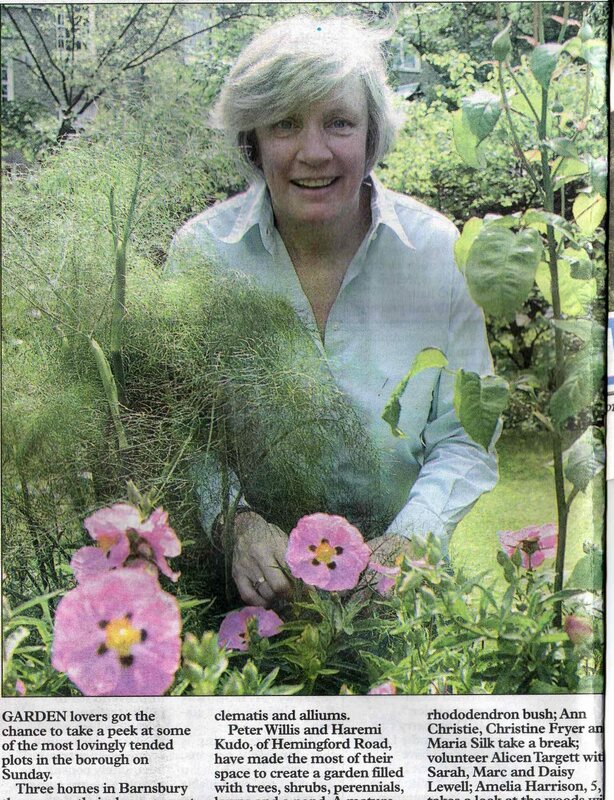 Open for the National Gardens Scheme. See contrasting gardens, with old roses, perennials and unusual shrubs at 36 Thornhill Square and 44 Hemingford Road, mature woodland in Barnsbury Wood, and plantsman’s layouts with views to the canal and houseboats in 1 Battlebridge Court. Support charity with the combined admission charge of £6 for adults and £0 for children. Buy home made teas and plants at 36 Thornhill Square. 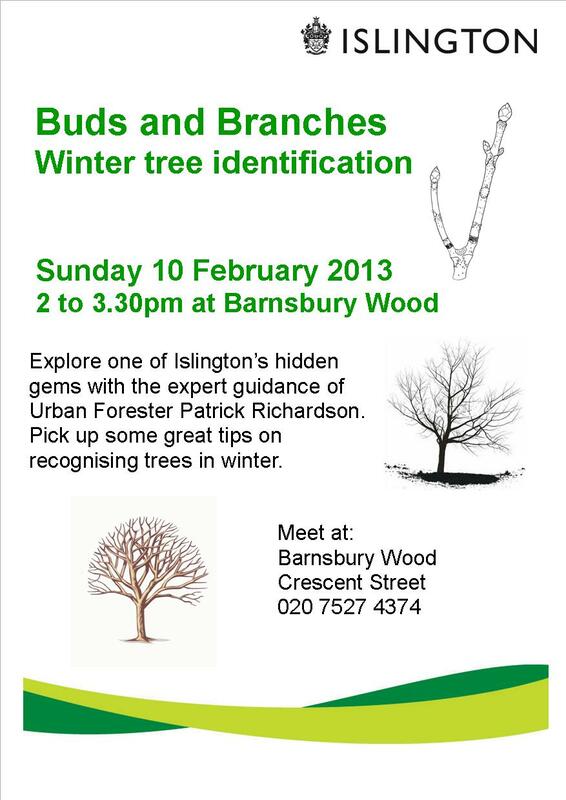 Barnsbury Wood is also usually open on Tuesdays 2:00 pm-4:00 pm and in the summer (from July to September) on Saturdays 2:00 pm-4:00 pm. To take part in conservation work there (or in Gillespie Park or Parkland Walk) on Thursdays 10:00 am-4:30 pm call 020 7527 4374; other events organised by the ecology centre are listed here. Open for the London Parks and Gardens Trust. Get tea, coffee and soft drinks in the hut. The hut is also usually open on Tuesdays 2:00 pm-4:00 pm and on Saturdays 11:00 am-12:00 noon. 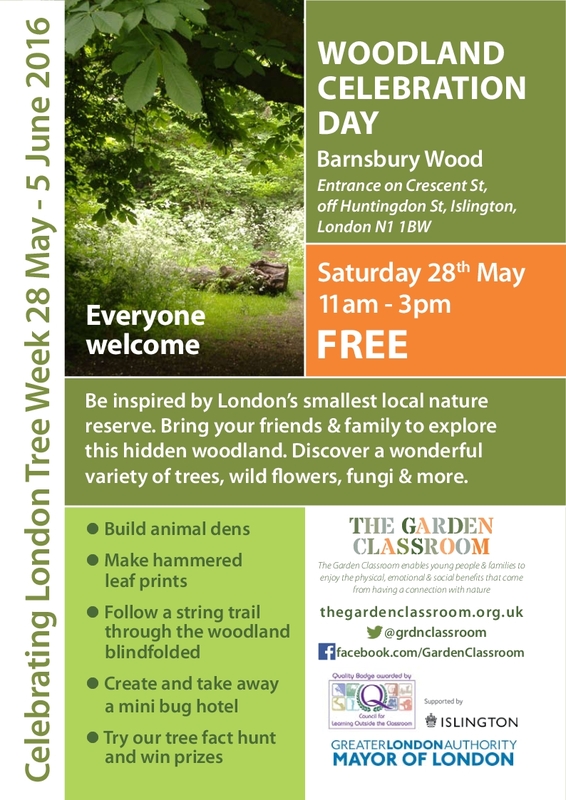 Barnsbury Wood is also usually open on Tuesdays 2:00 pm-4:00 pm (but not on Tuesday 5 June this year) and in the summer (from July to September) on Saturdays 2:00 pm-4:00 pm. Organised for the Huntingdon Street and Crescent Street Residents Association and the Thornhill Square Association. Bring food and drink to share and something to sit on. Have a free drink on arrival. Take part in games in Thornhill Crescent Gardens (surrounding St Andrew’s Church). Organised for the Friends of Barnsbury Square Gardens. Bring cake or biscuits for those who want them. Take part in a ‘Costume and Queen’s Beasts Competition’, with dressing up for those who would like to enter themselves, members of their families or their pets as lions, unicorns, dragons or whatever. Have free face painting 3:00 pm-4:00 pm. 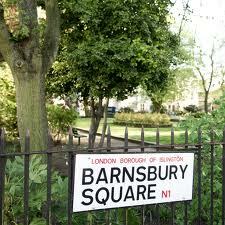 This message comes from the Friends of Barnsbury Square Gardens. Barnsbury Square will be open from 2 p.m. to 5 p.m. on Saturday 11 June as part of this year’s Open Squares Weekend (in association with the London Parks and Gardens Trust). See the new planting, meet a neighbour, grab a tea/coffee, bring a friend and maybe some cake if you’d like to! The beautiful garden of 36 Thornhill Square is open on Sunday between 2 p.m. and 6 p.m. for the National Gardens Scheme (£2, mostly to Macmillan Nurses). It's also an opportunity to sample Anna's excellent tea and cakes! 36 Thornhill Square opens annually to the public in aid of the National Gardens Scheme. Visitors get to wander freely round the garden (details below) and enjoy an afternoon tea with home made cake. Proceeds go to Macmillan Nurses and other charities. The garden contains hundreds of different varieties of herbaceous perennials, including many hardy geraniums, heucheras and campanulas. Many of the unusual perennials are propagated for sale. There are old and new shrub and climbing roses, with good specimens of David Austin’s modern English Roses, as well as hybrid musks and older roses including Old Blush China and Sophie’s Perpetual. There is a big rambler, Francis E Lester, climbing up a silver birch, and also two rare examples of “old” new roses – the single Floribunda Dainty Maid and the single hybrid tea Dusky Maiden. There are many clematis, including Niobe, H F Young and Marie Boisselot. A new feature this year is the “woodland walk”; created when we removed 36 large sacks of ivy from the end wall and discovered we had five more feet of garden that we had realised. There are tender plants in pots on the patio, including abutilons and scented pelargoniums, and a small collection of bonsai trees. The garden was begun 21 years ago, when it was full of rubble, rough grass and a huge diseased black poplar. It is in a constant state of change as new plants are discovered and somehow made room for.